Why did I write this book? Very simply, I got fed up of every health book that I picked up, starting with the lines... No alcohol! Or no alcohol for one month and it made me feel that if I didn't do that one thing 100%, then I was either weak or I had failed before I'd even started. I wanted a manual for real life not just for New Year Resolutions. I wrote a book, that I would like to find, gently inspiring a healthier attitude, written in a way that is true if not on occasions humorous and yet not preaching. Helping each of us to validate ourselves rather looking for outside validation. 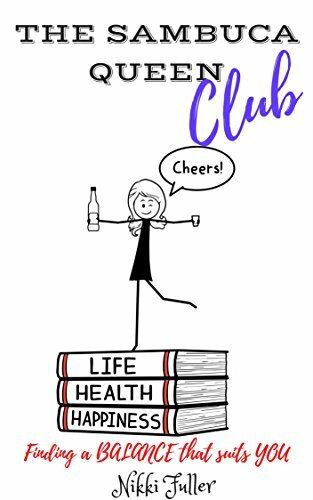 With practical advice on how to make better life decisions, health and beauty tips and techniques, easy and healthy recipes to follow, how to avoid hangovers or cure them, simply self-care but in the real world. I am not reliant on Sambuca or alcohol but I am faithful and just sometimes a drink is what you need but if we balance it with healthy alternatives and give ourselves options and generally be kind to ourselves, why can't we find the balance and enjoy it all! After all life is for living and not a spectator sport.